We invite colleagues from high school and undergraduate programs to participate in an invigorating, supportive, and innovative faculty development opportunity to experience and practice teaching differential equations in a modeling first approach. Participants will discover and explore new curricular materials and methods that support this modeling approach. The workshop will begin with an opening event on Sunday evening, 21 July 2019 and end with campus departure on Saturday morning, 27 July 2019. This workshop is a faculty development effort funded in part by the National Science Foundation and SIMIODE to support faculty in using modeling to motivate learning differential equations in context. Those selected to participate will be " Model INstructors in Differential Equations," or MINDE Fellows. During the week-long workshop, MINDE Fellows will actively work to incorporate curricular materials and pedagogies with their own students after the workshop. The National Science Foundation is supporting SIMIODE’s mission to support faculty in using modeling and application to motivate and teach differential equations in context. This MINDE Workshop enables participants to engage with colleagues in discovering, experiencing, and planning to use innovative modeling opportunities in support of their teaching methods. Participants in the workshop will gain understanding of the power of modeling to motivate learning differential equations in context through leading peer classes using modeling and in supportive discussions and planning sessions for success beyond the workshop experience. Many rich Modeling Scenarios will be available through the SIMIODE online community. Further, a large set of potential modeling activities will be explored to give participants an opportunity to create their own modeling activities for their students. Most important, participants will become part of a supportive network which will be of assistance as they explore modeling in their coursework. 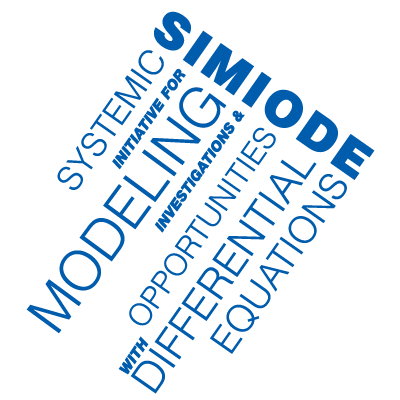 SIMIODE stands for Systemic Initiative for Modeling Investigations and Opportunities with Differential Equations. A core tenet of SIMIODE is that students learn mathematics best in context and we extend that to say for faculty that learning to use modeling in course work is best done by practicing using modeling in a course setting. We are accepting applications for this rich and engaging workshop in support of using modeling to motivate and teach differential equations at the high school and undergraduate level. 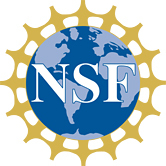 The room and board costs for this five-day workshop are paid for by the National Science Foundation. There is modest $300 registration fee. Each participant will have a private room with shared bath in a modern air-conditioned dormitory. Room and Board expenses are provided to participants. Your application should be a narrative description of your interests, experiences, and prospects/plans to incorporate modeling in a differential equations course, as well as your willingness to participate in a mentoring program beyond the workshop. Include information on your experiences with teaching approaches involving modeling, projects, active learning, team efforts, and creating and using modeling materials and activities; applicable courses taught; and immediate future courses planned. We are very much interested in colleagues at all stages of development, so please be honest and open in your descriptions. The closing date for applications is 1 May 2019 or until all 20 positions are filled. Applications will be reviewed beginning 1 May 2019. Participants will need to bring cup, soap, and personal hygiene materials. All other linens, including towel and facecloth, will be provided. Each room in the modern dormitory has a second bed so partisans are welcome to bring along a guest at only the cost of linens ($25) and meals (about $150) for the period of the workshop. We will take a mid-workshop field trip to some beautiful part of Oregon. Participants who have attended comparable workshops (e.g., MAA PREP Workshop Summer 2015 and NSF SIMIODE 2018 MINDE Workshop) have gone on to successfully use modeling in their teaching, given talks at national meetings on their efforts, led workshops in this area, published papers on their teaching efforts, and serve even as Co-PI’s on this National Science Foundation grant. Workshop participants should come prepared with two modeling activities, either from SIMIODE resources or other designs. After an initial two days of the workshop participants will lead a “class” of their fellow workshoppers to experience teaching in a modeling approach. At the workshop each participant will be surveyed and interviewed by assessment/evaluation personnel as to background, experiences, interests, expectations, and plans to implement workshop learned lessons. This is in conjunction with follow-up efforts in support of personal growth and professional development. As with many things in life the advertising pitch, “Try it, you’ll like it!” applies to introducing news ways of teaching. Over the years and through many workshops and minicourses we have found that individual faculty can change from a technique driven pedagogy to a modeling driven approach in teaching differential equations. The classroom comes alive as students push toward the mathematics to solve the real world problem before them. Literature on studies and investigations demonstrate the power of discovery and applications in motivating students while developing students’ keen interest in the mathematics in order to solve a real problem. Day Zero – Sunday evening upon arrival. Gathering, introductions, sharing hopes/expectations, going over schedule and process. Day One – (morning) Introduction, experiencing rich examples in which faculty engage as students, in modeling activities in support of learning differential equations. Day One – (afternoon) Personal and group reflection on morning experiences from student perspective and discussions on the meaning for faculty. Sharing of workshop aspirations and plans for implementation at home institution. Day Two – (morning) Discussions about how participant might select one Modeling scenario and when and how it might be used in home curriculum and discussions about effective use of modeling, when?, what?, where?, how?, and most importantly, why? Day Two – (afternoon) More working as a class to experience modeling at various stages of learning and doing differential equations. Day Three – (morning) Participants as teachers lead small groups of participants acting as students in modeling activity, either a modeling scenario from SIMIODE or one they have designed or discovered and used or plan to use. Day Three – (afternoon) Break activity and social interaction with visit to the Pacific Ocean and walks along the beach as part of our offering. Afternoon and night for relaxing! Day Four – (morning) Round Two of participant lead classes for other participants with time for feedback and critique on mathematical value and substance as well as approach and experience, both from teacher and student perspective. Day Four – (afternoon) Individual time with workshop leaders as initial steps in mentoring process which will continue once participant returns to home institution. Day Five – (morning) Building post-workshop teams surrounding issues of implementation for specific modeling scenarios selected by participants. Spend time in discussions about implementation at home school as well as consider design and creation of participants’ own modeling activities based on personally used projects from the past or new ideas offered in SIMIODE Potential Scenario section. Day Five – (afternoon) The key discussion. In small groups and then reporting out to larger group, address the issues of how participants will incorporate modeling in the home school differential equation course with specific plan and timetable, as well as mechanism to assess the experience for students and teacher. The mentoring workshop leaders will have another opportunity to engage and demonstrate the value of mentoring once participants return home through continued contact. Each evening there will be informal discussions, sharing of plans, and going over implementation issues. Consider this one single support mechanism for Practitioner Workshop participants as an example of the results of the workshop engagement. On the last day of the Practitioner Workshop we set aside a time for the participants to come together in groups. Beforehand participants choose a modeling scenario (or several) that was covered during the week or which interests them. The groups would be formed around common chosen scenarios. In the group participants would discuss how each could customize the scenario to her/his own particular situation. Participants will develop ideas and a commitment on how to customize the scenario before leaving the workshop. Participants would then have more “ownership” of the scenario and they would already have colleagues who would be trying the same thing at their home institution. Come join us this summer in Oregon for Model INstructors in Differential Equations Workshop sponsored by the National Science Foundation and SIMIODE to experience your own growth in developing new approaches for your teaching.